If you’re visiting the AMA Executive Conference Center in the Washington DC area, you’re bound to want to see some of the sites as well. There’s plenty to experience in this wonderfully historic part of our country, and no better way to see them then by some of the free walking toursoffered around the city. All you’ll need is a good pair of walking shoes, a bottle of water, and the time to learn about some of our history. 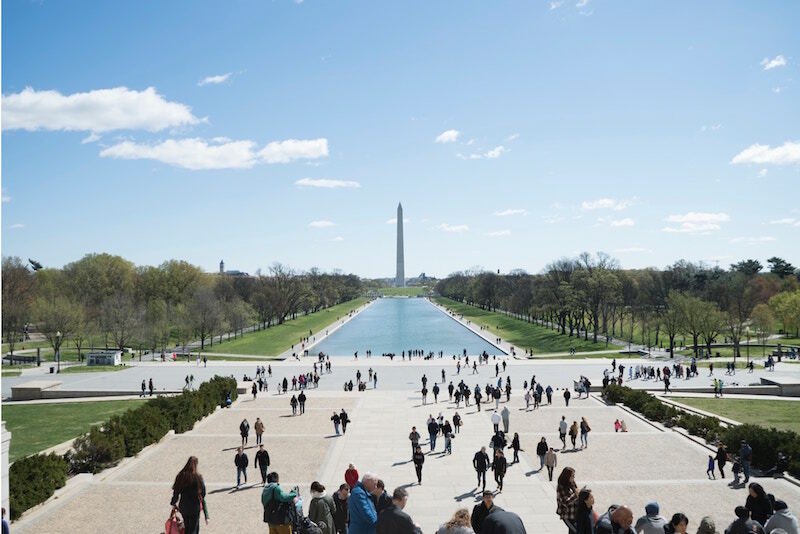 This tour allows you to walk the popular National Mall, while visiting each of the memorials located there. Those include, the Washington Monument and the Lincoln Memorial. The tour lasts approximately two hours and is about a mile long, with plenty of places to rest along the way. Click here to learn more about this tour. Encompassing the National Mall, this tour also includes more of the famous DC monuments and parks. Because there’s so much more involved, this tour is about four hours long and covers just over two miles of walking. There are plenty of places for refreshments and bathroom breaks along the way. Click here to learn more about this tour. If you like old houses and historic settings, this is the tour for you. This tour will take you along the old streets of Alexandria – in the locations where our forefathers walked. It lasts about two hours and is a little over a mile long. Similar to this tour is the Historic Georgetown Tour, only located in a different part of the city. Click here to learn more about the Old Town Alexandria tour. If you’re wanting to visit some grand old places in the nation’s capital then get moving with one of these walking tours! Are you considering where to host your next conference or meeting in Washington DC, Atlanta, San Francisco or New York? Contact us to learn more about the AMA Executive Conference Centers. We’re here to help you make the most of your meeting!